When your knee, shoulder or hip pain is unbearable and physical therapy and medicines no longer help, there is an option. More than 1 million joint replacements are performed in the United States each year. Whether its full or partial replacement, the surgical procedure involves removing a damaged joint and inserting a prosthetic one. 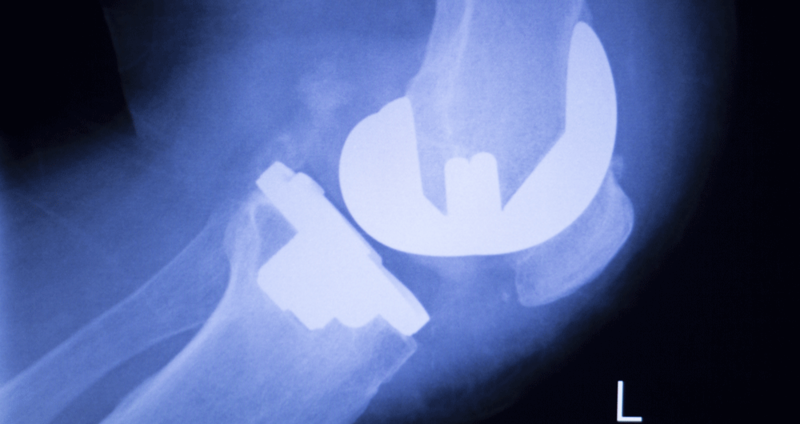 While hip and knee replacements are the more commonly known surgeries, ankle, wrist, shoulder and elbow joints also can be supplanted. Maybe it happened after chopping wood while preparing for a wiener roast. Maybe it happened after pulling up your grandchild for a hug. Maybe it happened while tossing a football around the backyard. No matter, shoulder injuries are painful – and can be difficult to heal. Two bones and a complex array of muscles and ligaments make up the shoulder areas. While generally robust parts of the body, your shoulders are susceptible to injury, inflammation or degeneration of tissue due to aging. Athletes participating in contact sports are more prone to shoulder injuries. Tears and separations are especially painful. However, older adults who suffer from arthritis or falls can suffer from equally agonizing shoulder issues. So what causes pain in the shoulder, and what can you do about it? Going in to the hospital for surgery can be a difficult and anxious time for anyone. For some people having surgery is manageable, for others it can be one of the most anxiety provoking experiences they have ever faced. Wherever you are on that spectrum, there are steps you can take to make the experience a more positive one. You'll find that the entire orthopedic team at Johnson Memorial Health is dedicated to providing a compassionate and caring experience for all patients.